A traditional sub hit fighter gets a makeover with the USMC Black Force Recon Commander. With a razor sharp, titanium coated, 440C stainless steel blade and serrated edge give the maximum performance under any circumstances. The entire blade and textured G10 handle have been CNC machined for complete precision. 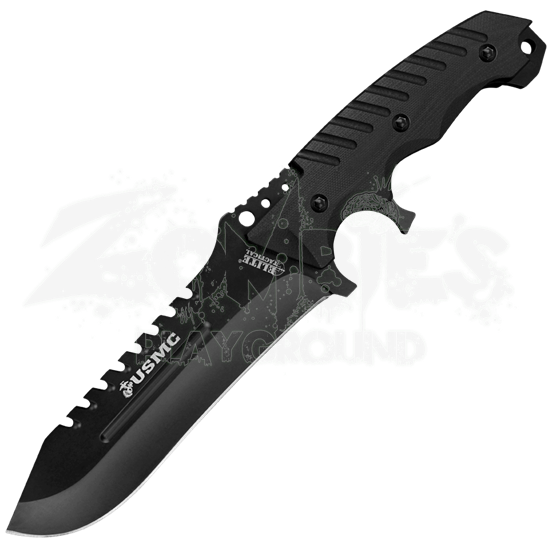 Complete with a MOLLE-compatible sheath this knife is ready to go wherever you go. 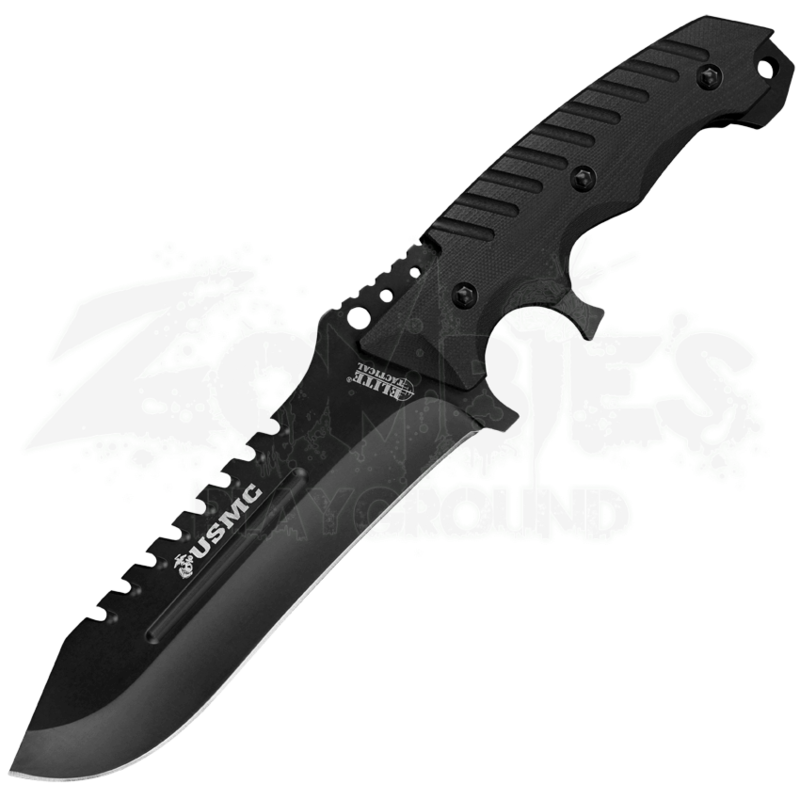 Get the USMC Black Force Recon Commander and own the ultimate in bladed protection.